A Tribute To Life is the brand new radio show presented by trance DJ/Producer, Dennis Sheperd. The two hour show launched last night on Digitally Imported Trance and will air on the first Monday of every month at, 2pm Eastern Standard Time (US) / 7pm Greenwich Mean Time (UK) / 8pm Central Europe Time on www.di.fm/trance. A Tribute To Life will also be available as a podcast download from Mixcloud and iTunes. 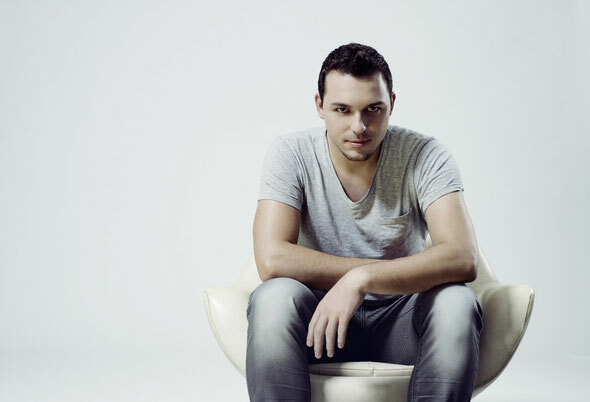 Dennis Sheperd is possibly one of the fastest growing names in trance music, with an army of fans including Tiësto, Paul van Dyk, Markus Schulz and Ferry Corsten. He has seen remix requests come in from Armin Van Buuren, Above & Beyond, Gareth Emery and Markus Schulz, while labels such as Armada and High Contrast Recordings have attempted to sign his work. A Tribute To Life - which shares its name with Dennis’ debut artist album - will be an audio playground for trance fans around the world, where Dennis will regularly feature tracks from production favourites Armin van Buuren, W&W, Beat Service, Omnia, Above & Beyond, Chris Schweizer and Heatbeat. Each show will see Dennis dip into the ‘Producers Corner’ where he’ll offer feedback on a new unsigned track sent in by producers looking for valuable feedback. The show will also include a segment called ‘Dennis Sheperd Insights’ where listeners can record and send in a question to be answered on the show. Other features include ‘Track Of The Month’, and ‘Think Outside The Box’ - a place in the show where there are no boundaries, where Dennis can showcase a track from another genre that has caught his attention, be it dubstep, tech-house or even hardstyle. All emails can be sent to atributetolife@dennissheperd.com and music should be shared via private Soundcloud links – no music files.